Gigi with freshly harvested produce. As placement students from the University of Edinburgh at the Royal Botanic Gardens, our first day was far from conventional. 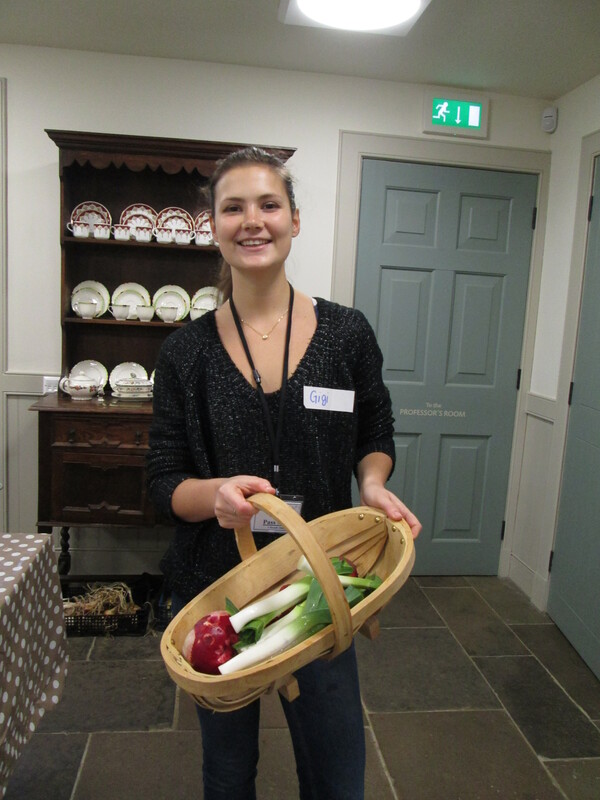 Cristina was “amazed and entranced by the beauty, different colours, sounds and smells” of the gardens. We headed towards the oldest… but newest building in the Gardens, the Botanic Cottage. It travelled, brick by brick from its original site on Leith Walk to become a hub for community engagement at the Gardens. 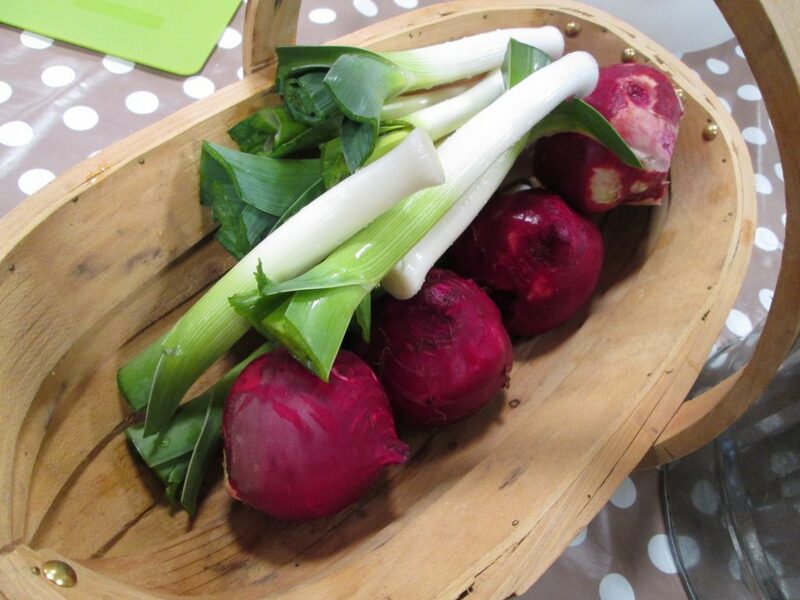 Fresh vibrant colours of leeks and beetroot. 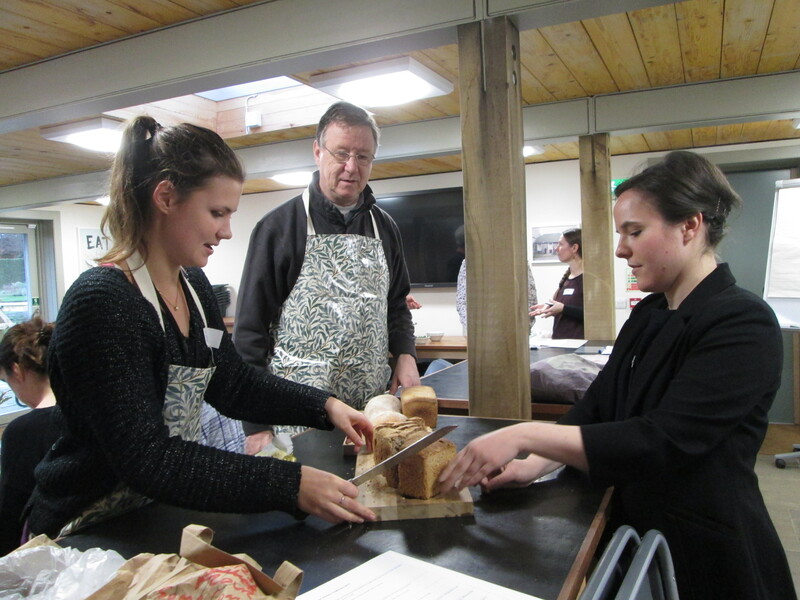 Gigi and Fanni cutting bread for the lunch. 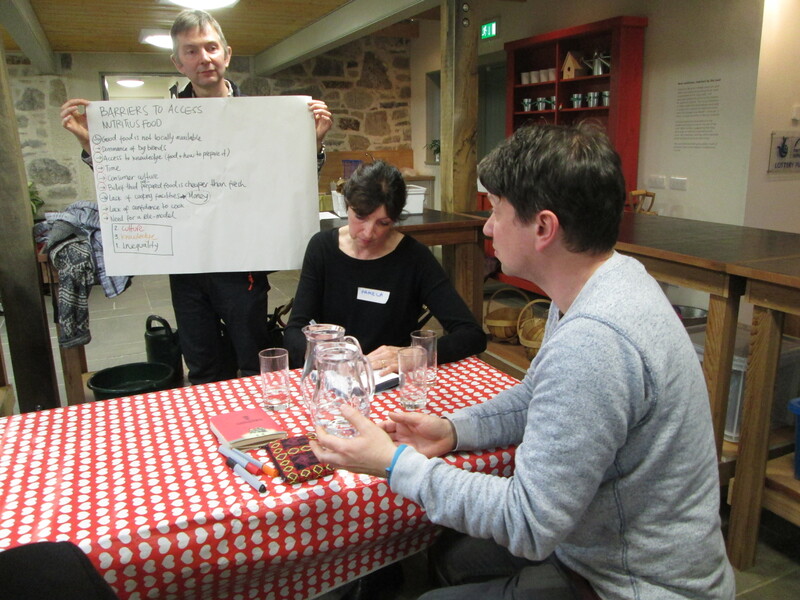 Sitting down to eat was a great way to break the ice and get thinking about food security in Scotland. Our collaborators, community members from North Edinburgh, all had different stories relating to food security and what it means to them. The session was part of an approach called co-creation. Everyone enjoyed hearing about each other’s work and looking at areas of potential collaboration. Through involving local people, we are hoping to create an exhibit about food security in Scotland. Food is such an important part of life. As Fanni says, “when I think of food I always smile. 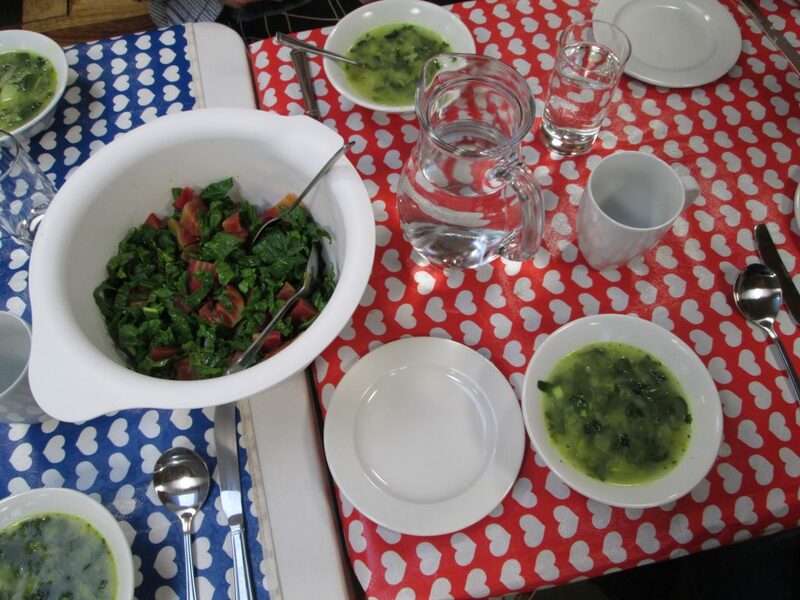 I cannot imagine not wanting to sit down around a table with a delicious meal. Unfortunately, my lifestyle does not always allow for the time to enjoy a meal the way I would want to and this is the reality for many people.” We discussed the barriers people may have in accessing nutritious food, and the many factors that influence the way we eat, from supermarkets to schools, and media to money. Feedback from small group discussion on barriers to nutritious food. What does food mean to you? What barriers do you feel there are to accessing “sufficient, safe and nutritious food”? We’d be pleased to get your thoughts so comments on these blogs are very welcome. 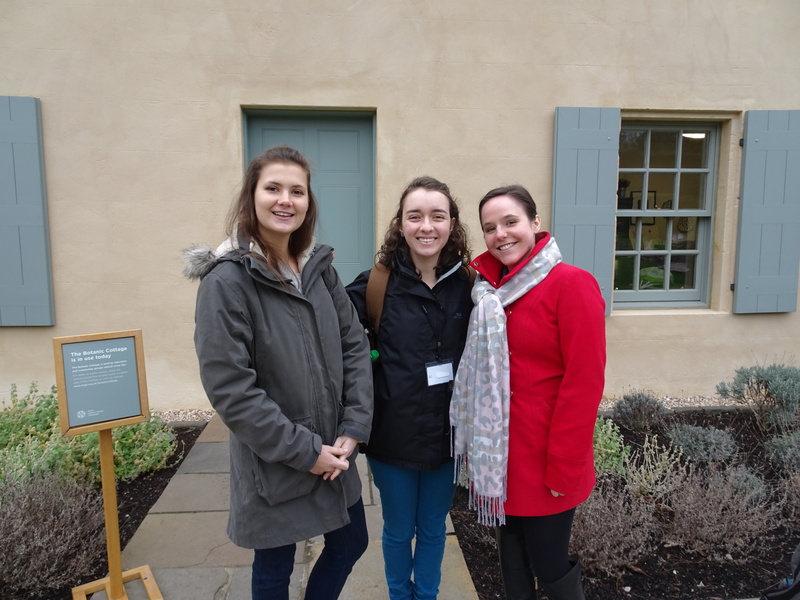 Students Gigi, Cristina and Fanni (left to right) outside the Botanic Cottage.